On the 24 September 2016 started off as an uneventful Saturday, I was lazing around after a great outing catching Pokemon & filming near Nicoll Highway MRT station. While browsing the deep recess of the internet via Facebook and twitter…I had come across the news that MacOS Sierra is now available free in the mac AppStore! Without researching anything on preparation, I clicked on the download and proceeded to install it. Then came the error message! The installation stalled & it will repeat again after I restart my mac. At first, I was kind of annoyed and slightly panicking but I decided to take this as a challenge! 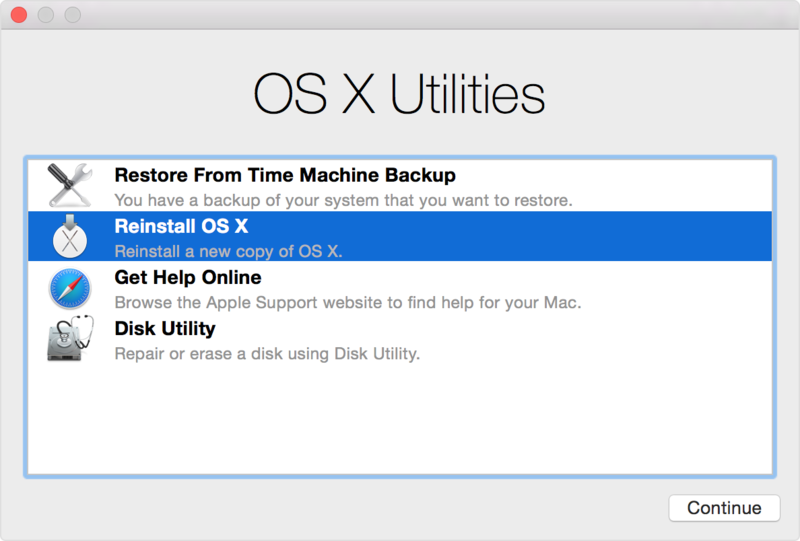 To start up from OS X Recovery, hold down Command (⌘)-R immediately after turning on or restarting your Mac. …ok. done. First I tried to restore from time machine backup, but realised I don’t have a back up because of my stupid ideas that such things don’t normally happen. Yes stupid me. Then I tried to use Disk Utility to apply first aid to my boot disk but still having the some weird error that “file system exit code is 8” and cannot proceed anymore. Normal people will probably stop at this step and call for help or send to Apple service to diagnose the problem and often at a fee. However, at 3am…I’m not about to give up! There’s one more step I can do that’s to re-install Mac OS X (which is then Mac OS X El Capitan) on my main drive and try again, again…same error message and cannot proceed. Next, I tried to install on an external hard drive which I have plenty of but have to choose carefully which drive to wipe as most have some data that are pretty important to me like my raw videos for my youtube. After erasing the external drive & re-installing Mac OS X El Capitan, it boot up normally without any old softwares and I tried to use disk utility again on my main drive…no luck there…yes same error message. At this point I was able to OPEN up my main drive and see what is inside & copy the data out…so I proceed to copy some applications out of the Application folder…but I realised later this step is not really useful as it’s better to reinstall those applications from scratch instead. I watched some television while the copying is transferring the files until like 4am, I told myself that I am like half way through the ordeal now. Then error, some files cannot be copied for some weird reasons. OK, I almost gave up on that…and simply fired up my disk utility and ERASE my main SATA 500 GB drive to Mac OS Journaled Extended and guess what? IT WORKED! Then I was filled with brand new hope of a fully functional mac mini without booting from external hard disk which is dangerous as USB 3 can be flaky at best and probably not long lasting. Doing the press & hold Command (⌘)-R while restarting and go back to recovery mode as I reinstall Mac OS X El Capitan yet again on my main hard disk…at approximately 4.30am in the morning. After installing and recalibrating my screen resolutions of both my monitors, I decided to give MacOS Sierra another try…it was already 5am however the coffee was still pretty effective on my brain but yes my body was falling asleep. Googling for a copy of MacOS Sierra turn up lot’s of old websites that didn’t give any idea on how to download a copy outside of the Mac Appstore. Then comes a epiphany, I had copied my main drive data to another hard disk before formatting…but not everything! With hairs standing on my ends…I fired up the Spotlight search Command (⌘)- Spacebar and type in Sierra and low & behold…it’s still there! But I hesitated for a few minutes thinking the files may be corrupted as not all the files are copied, if I repeat the process again and get the same error…does it mean my 7 hours worth of effort were wasted? With my heart beating, I gingerly double clicked on it and the installation began. Then comes the agonising wait. The process of updating the iOS is longer than expected and in that half and hour of waiting time without internet makes got me thinking of many things…including that comfortable bed. Then….FINALLY MacOS Sierra is installed! Tired and hungry, I went downstairs to have my “breakfast” before coming back up to collapse to my comfortable bed…and hibernated until this afternoon 2pm. The blessing in disguise was that my computer seemed to work way faster now and I didn’t lose much important data as I always keep my important stuff on external hard drive. The only downside is I have to waste more time to reinstall all the important applications and bring back my productivity back to normal which is probably going to take another half day. So, if you are planning to install the new MacOS Sierra…make sure you do the following. 2. Make sure you have a spare external hard drive that have nothing important inside as emergency boot drive. 4. Google search what to do before installing a new MacOS.